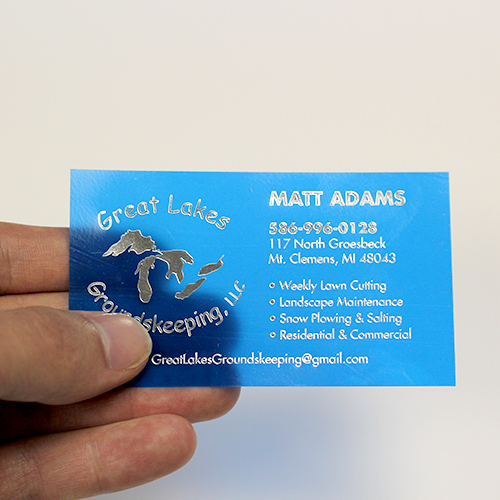 A Business Card is often your company’s opportunity to make a “first impression”. It immediately conveys your company’s image, brand, “style” & message to your customers. 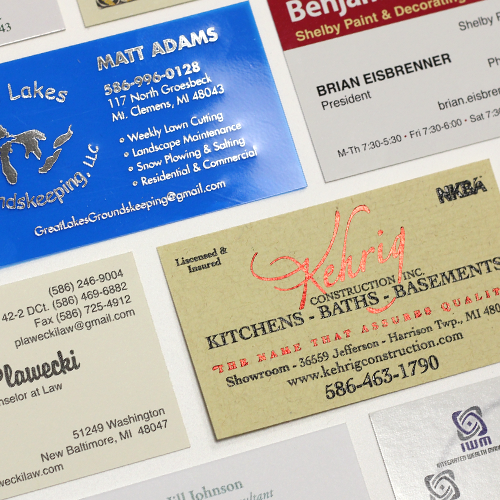 Don’t let cheap-looking business cards – from “big box” office supply stores or online printing – be the lasting impression that you leave with your valued customers! 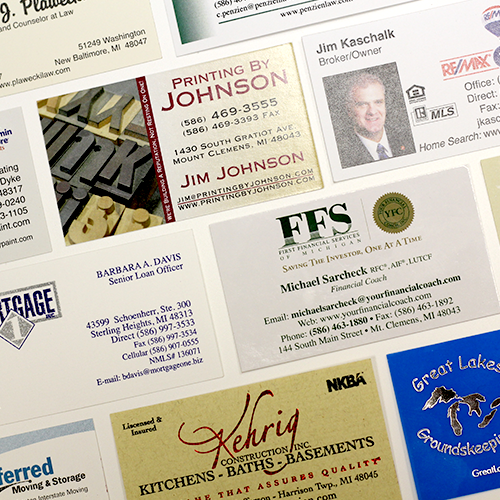 At Printing By Johnson, we offer custom Business Card printing services, along with full-service design assistance from our creative marketing team. 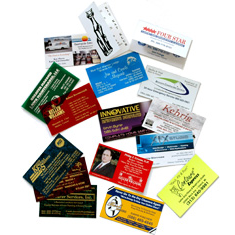 We have the knowledge and experience to provide effective custom Business Card printing services, whether you need small or large print runs, graphic design services or card layout. Enhance your image, impress your customers, and improve your brand recognition with clear, crisp and attractive Custom Business Cards expertly designed and professionally printed by Printing By Johnson.